Lenovo K3 Note is an outstanding smartphone that made an entry in the market back in 2015, March. The phone comes with 16 GB of internal memory. If you are looking for Lenovo K3 Note drivers, then you are in the right place. Lenovo K3 Note comes with 5.5 inches display supporting resolution of 1080×1920 pixels protected by Asahi Dragontrail glass technology. The type of display it consider is IPS LCD capacitive touchscreen. The phone packs internal memory of 16 GB with 2 GB RAM and also support micro-SD card upto 32 GB. For photos and video, it include 13MP Primary camera with dual-LED flash including features and 5MP secondary camera for selfies. The version of software installed on it is Android 5.0.2 (Lollipop) upgradable to Android 6.0 (Marshmallow). It is powered by octa-core 1.7 GHz cortex-A53 processor to support the performance of the phone. The connectivity medium include WLAN, Bluetooth, GPS, Radio and USB. The phone is powered by Li-Ion 3000 mAh battery to support the power back-up. The price of Lenovo K3 Note in India starts from 7,425. Download Lenovo Driver for Lenovo K3 Note. 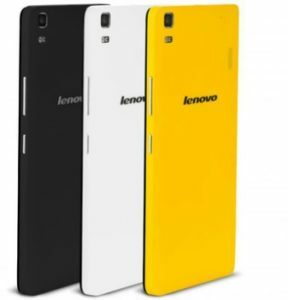 Download ADB Driver for Lenovo K3 Note.